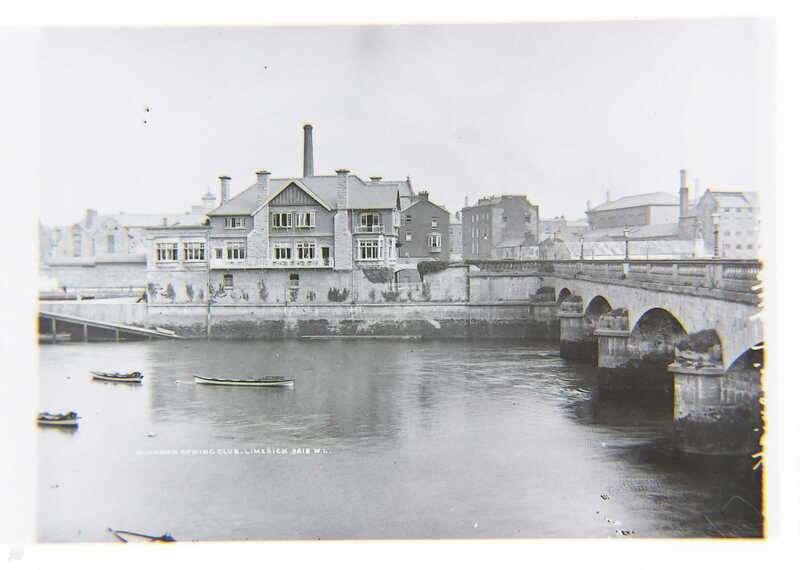 On a windy and rainy Sunday in early September 1864 a crowd gathered on Wellesley Bridge (Sarsfield Bridge) to watch a race between Thomond Bridge and Barringtons Pier and back. The competitors, two teams from Thomondgate, one a group of young fishermen and the other a group of young mechanics. As soon as the whistle blew the fishermen raced ahead, they quickly had a lead of almost quarter of a mile on their opponents and although they went on to win the race their margin was reduced to 200 yards. The fishermen mentioned would most likely have been Strand Fishermen who lived in the Thomondgate area of Limerick. The boat these fishermen used was known as a “Gandelow“. Other Limerick fishing groups were Abbey Fishermen, Coonagh Fishermen, Castleconnell Fishermen.